Sir Wilhelm Friedrich Herschel, German-born British astronomer and composer, 19th century. Herschel (1738-1822) became famous for discovering the planet Uranus, and made many other astronomical discoveries. 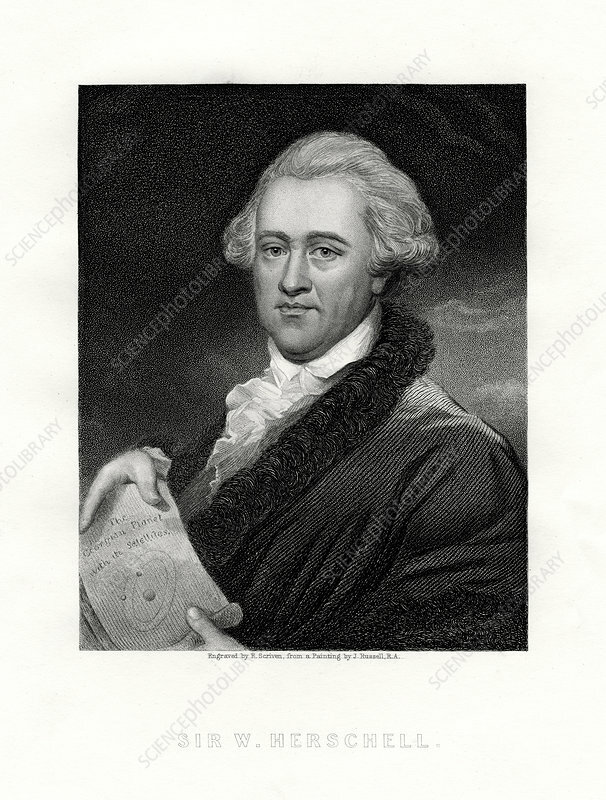 Here he holds a diagram marked The Georgian Planet With its Satellites, probably a reference to his discovery of Uranus in 1781. Artist: E Scriven.